Edgar Rice Burroughs is best known for writing the “Tarzan” books and “The Land That Time Forgot.” But, did you know that way back in 1911, he started his career by writing about a man who gets transported to Mars? Who was that man? That man was John Carter. 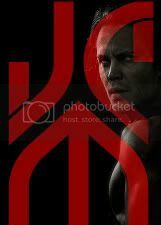 John Carter (played by Taylor Kitsch) is a former Civil War captain who is transported to the world of Barsoom (Mars) and gets caught up in a conflict of planetary proportions. He meets inhabitants of the planet — named Tars Tarkas (Willem Dafoe) and Dejah Thoris (Lynn Collins) — and fighting alongside with them rediscovers his humanity on a planet where he finds that their fates lay within his hands. Writer-director Andrew Stanton, who is known for his storylines in Pixar hits “A Bug’s Life,” “Finding Nemo” and the “Toy Story” movies, delivers an action-packed movie that looks to make Mr. Burroughs proud. “John Carter” — which also stars Mark Strong, Bryan Cranston, Thomas Haden Church, Ciarán Hinds, James Purefoy, Dominic West, Samantha Morton and Daryl Sabara — is set to open in theatres March 9, 2012. Follow Lynn Tackitt on Twitter at http://twitter.com/pvtgiggles.